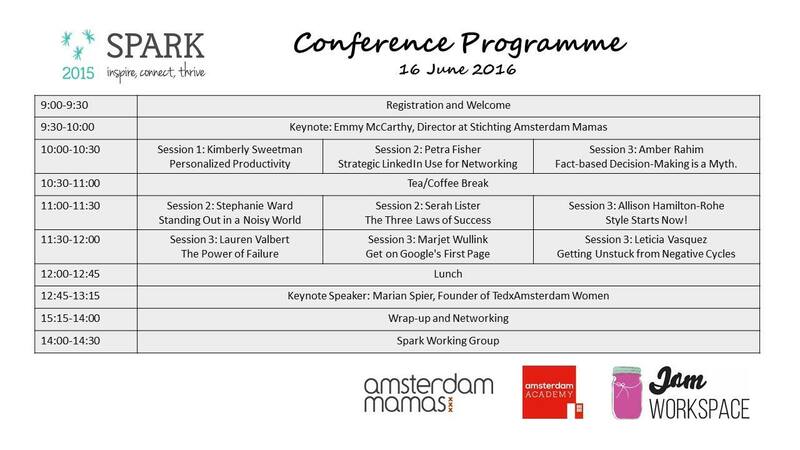 On the 16th June, 2015, I had the absolute pleasure of attending the 2015 SPARK event in Amsterdam. Despite not feeling well and recovering from a bad cold, I am so glad I went, as I came away feeling energised and inspired. I took a “road trip” from Delft/The Hague with two friends, Manuela of M-Quest and Ildiko of Push The Red Button. 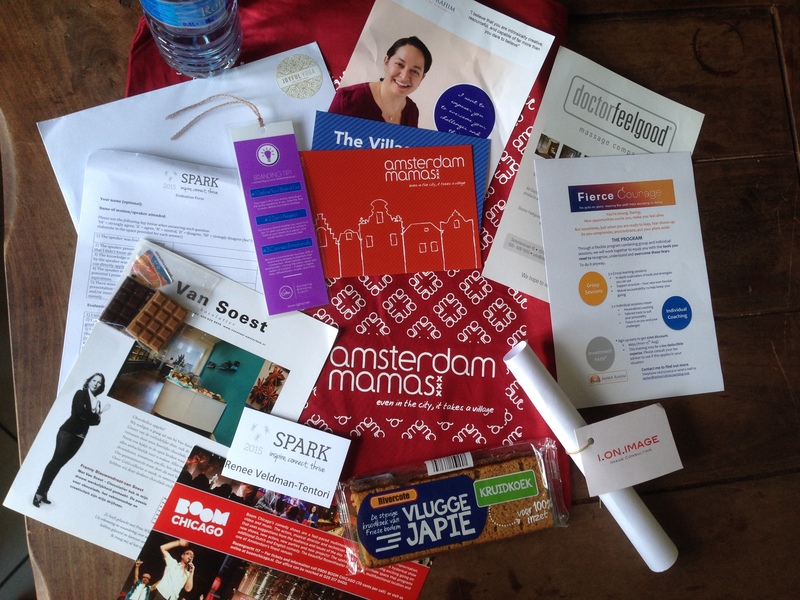 Co-hosted by the amazing organisations and women behind them, Emmy (Amsterdam Mamas), Hannah (Amsterdam Academy) and Kirsty (Jam Workspace), it had an incredible energy from the moment you walked in. With the goals of helping women entrepreneurs improve skills, ignite passion for business and expand their professional network, it certainly met those objectives. As you can see below, it was a great programme and was tough to choose which speakers to see! Both the opening Keynote (Emmy McCarthy) and closing Keynote (Marian Spier) were very interesting and inspiring. I also enjoyed the sessions I attended: Amber Rahim (Fact-based Decision-Making is a Myth) and Allison Hamilton-Rohe (Style Starts Now!). 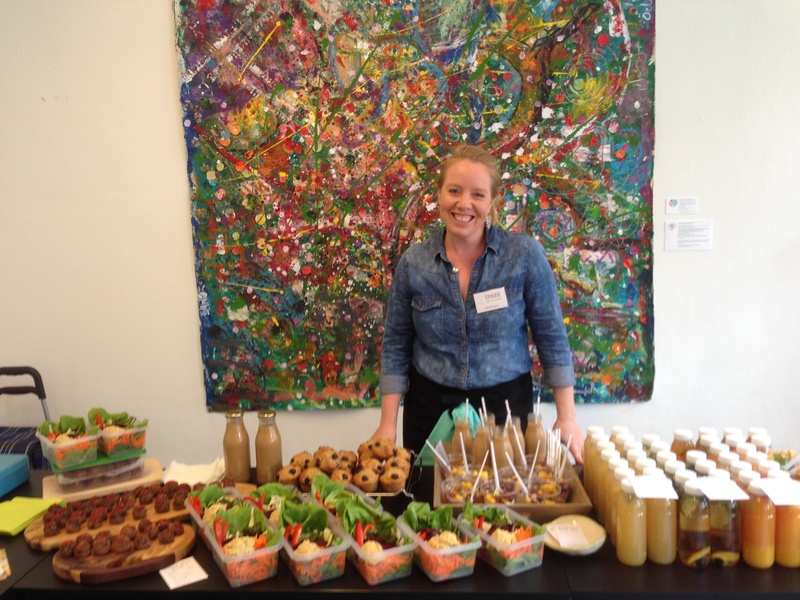 A delicious – and healthy- lunch was provided by Healthy, Happy Green and Bahnmigirls. I love that though I really wasn’t feeling at my best that day, he still managed to capture images of myself that I actually liked and which I felt reflected my true personality. We only paid (a very reaonable price) for those we choose and it was a great way to update our professional profile photos. You’ll now see one of my favourites over on Facebook and LinkedIn! Part 1 explains the importance of having a mission statement and how to write one http://www.kimberlysweetman.com/personalized-productivity-1/ . Part 3 lists 10 simple tips for improving your productivity http://www.kimberlysweetman.com/productivity-tips/ . Unfortunately it just went too quickly and there wasn’t enough time to talk (for long enough) to everyone. Here’s a link to just a few of their businesses so you can check them out! (Plus see the other links throughout this blog post). If you were there too and I don’t have you on this list, please comment below and I’ll add you! Through Twitter, I even managed to connect with someone I’d love to talk more to, even though she was unfortunately sick on the day and had to cancel last minute. Take a look at the cool stuff that Claire from the Thinking Museum does – I’ve been in touch with her about my Culture and Kids blog! You can see some great photos of the day and connect with the community over on the SPARK page on Facebook. To all those involved – thanks for a great day! It was wonderful to see you at the event and have chat. Thank you for the mention in your post, much appreciated. The energy during the day was electric!